Last week, Iowa Republican Rep. Steve King said in an interview with Newsmax that for every undocumented immigrant "who's a valedictorian, there's another 100 out there who weigh 130 pounds—and they've got calves the size of cantaloupes because they're hauling 75 pounds of marijuana across the desert." But the conservative website, lacking a well-calibrated crazy detector, buried the lede: That quote appeared in the twentieth paragraph, after an interminable account of King's feud with Grover Norquist. Kudos to NBC Latino for actually reading far enough to find the golden quote, for which it was awarded 1.8K Facebook likes (versus just 157 for Newsmax). The rest of the political media then pounced for pageviews. Lost in all the jokes about cantaloupes, though, was the real absurdity in King's quote: that anyone could conceivably carry 75 pounds of pot. True, the weight itself is not necessarily prohibitive, though it would take a very fit, hydrated person to carry that much through the desert. But dried marijuana, no matter how "dank" its buds are, is not a heavy product by volume. Which is to say, it takes a lot of pot to get to 75 pounds. How much, exactly? 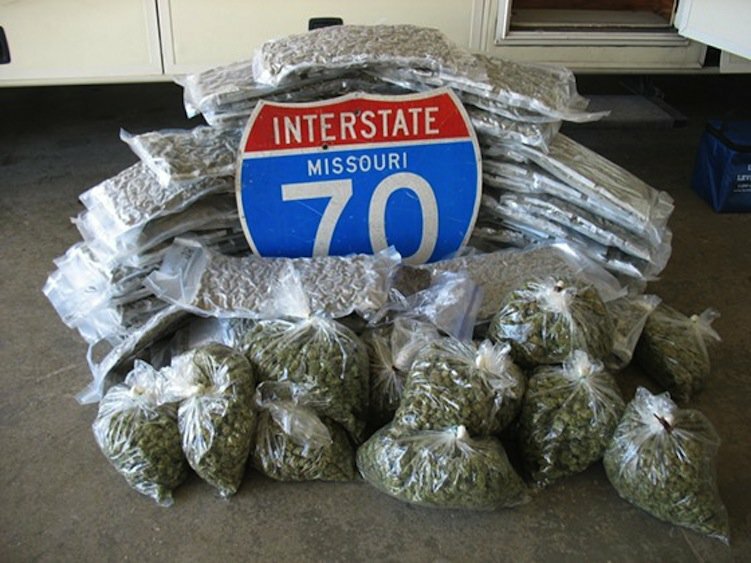 This picture, from a 2011 post in Kansas City alt-weekly The Pitch about a highway bust, shows exactly that weight in marijuana. No backpack is large enough to fit this much bud. You'd need at least four or five immigrants, and mango-sized calves would do just fine. Ryan Kearney is the executive editor of NewRepublic.com.